Charming apartment in Cala Sant Vicenç, in the north of Mallorca, only a few metres from the beach. It is prepared for 4 persons. 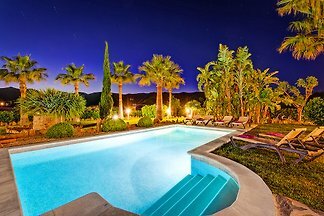 Magnificent house with pool in Puerto de Pollença with all the amenities for 8 guests to enjoy a pleasant holiday. 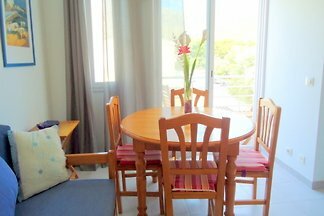 This fantastic apartment for 4 people is located 400 metres away from the sea in Port de Pollensa. Beautiful villa for 6 people, with private pool and wonderful views to the mountains, located on the outskirts of Pollensa. Would you like to spend the nicest vacation in Pollensa? Beautiful country house in the village of Pollença, ideal for families with children and groups of friends. It can accommodate up to 6 people. Fantastic home in the mountain area of Pollença. From this property you will enjoy fantastic views of the countryside and mountains and it can comfortably accommodate 8 people. Rent successfully your holiday flat or holiday home in Cala Sant Vicenç in only 20 minutes !